Last month I went for an outing with family on ECR (east coast road) and came via GST (grand southern trunk) road and during the ride across countryside, I find some gates and the above one was opposite to where we had our lunch (that we brought from home) beside a village pump set and well. The closed gate seems to be the entry to the paddy field that was fenced around, perhaps to protect from cattle or marking their plot and field. 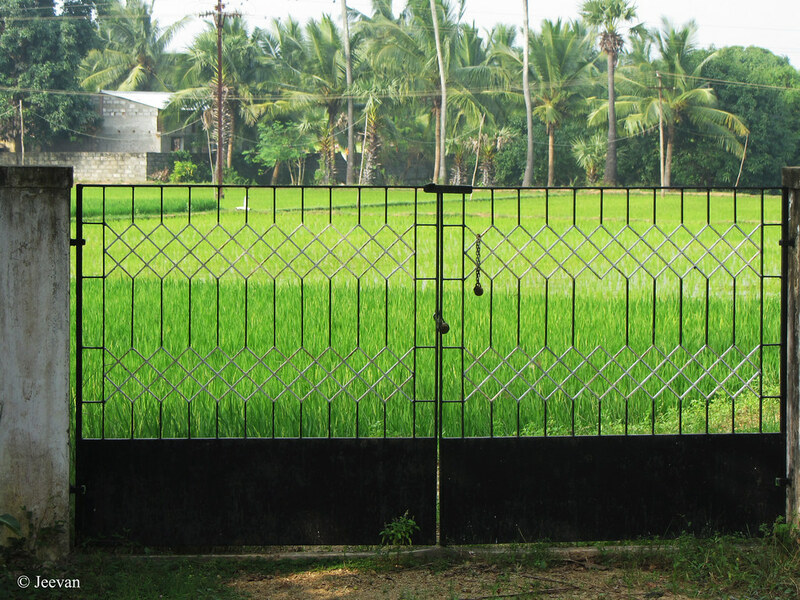 The gate with lush green paddy fields inside insist me not to miss the opportunity and being a devote of Good Fences meme, by Run aRound Ranch, wants me to capture it for the series. Pretty design on the gate and fence. Great fence find. 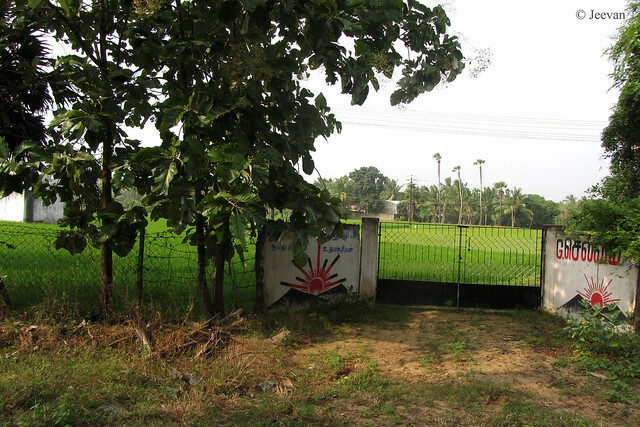 The lush paddy fields are gorgeous. Happy Thursday, enjoy your day! oh, i like that gate design very much! thank you, jeevan! Enjoyed your fences from the outing. Nicely done. Nice looking gate & such lush green grass. The green is mesmerizing! very well taken. nice shots! such green pastures are so enchanting! Wow, what a GREEN :) The first pic is very good. Love the emerald green grass! The green is so pleasing - what a lovely place.